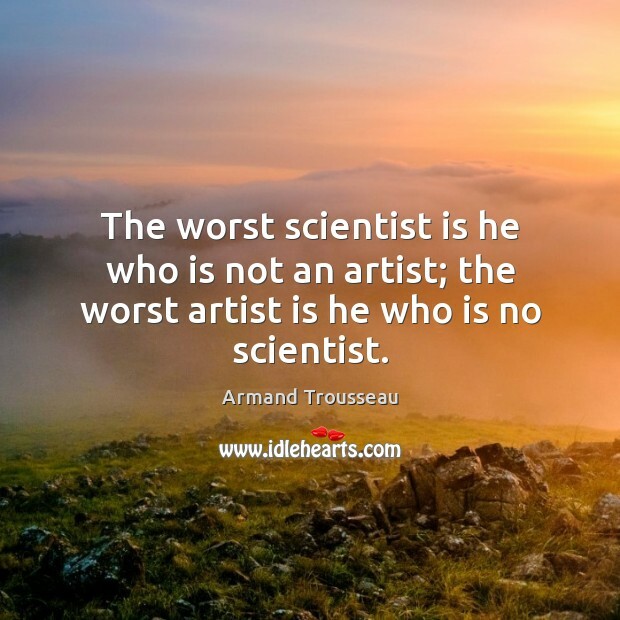 Enjoy the best inspirational, motivational, positive, funny and famous quotes by Armand Trousseau. Use words and picture quotations to push forward and inspire you keep going in life! 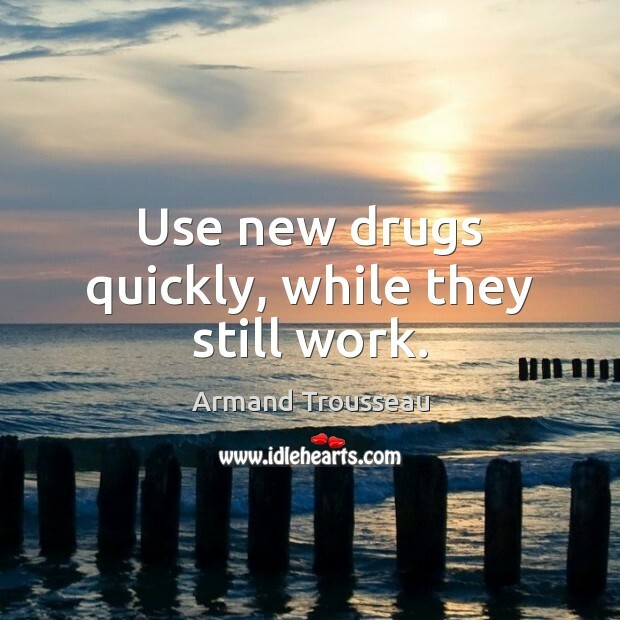 Use new drugs quickly, while they still work. 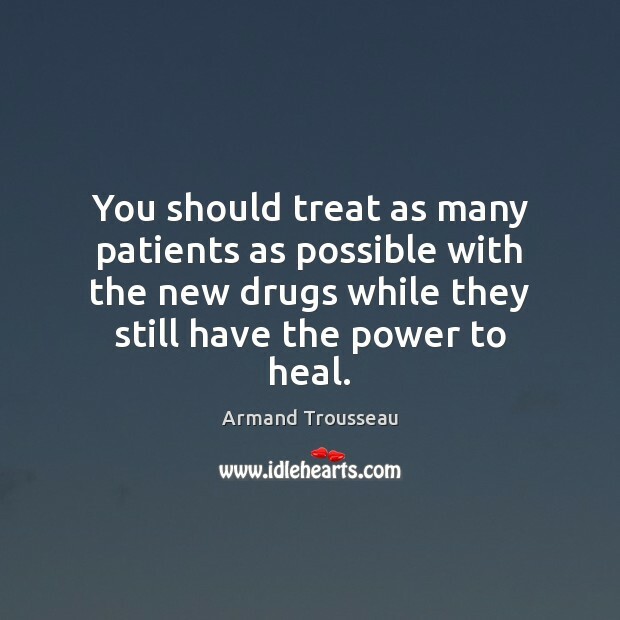 You should treat as many patients as possible with the new drugs while they still have the power to heal. 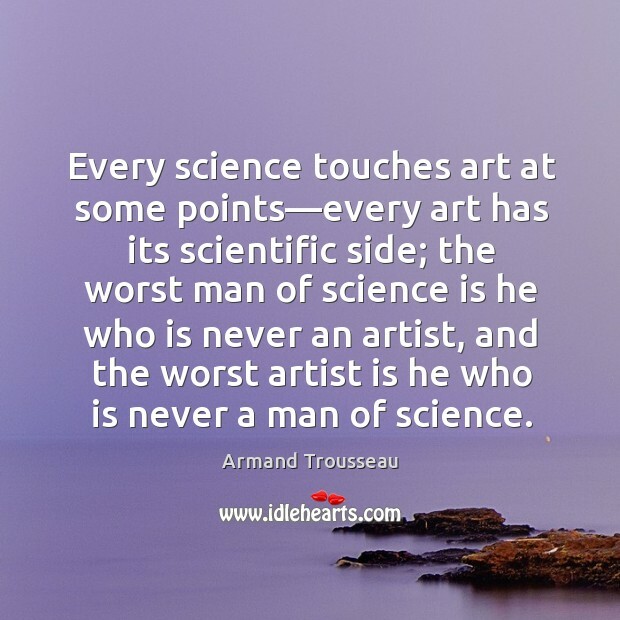 Every science touches art at some points—every art has its scientific side; the worst man of science is he who is never an artist, and the worst artist is he who is never a man of science. 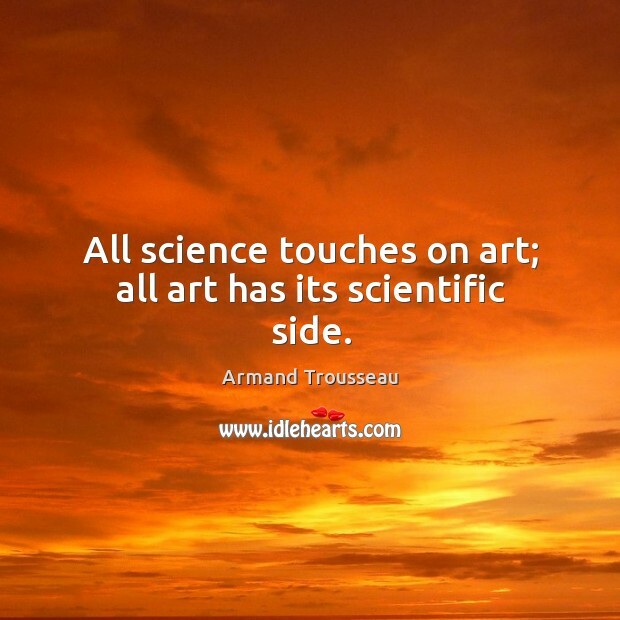 All science touches on art; all art has its scientific side.